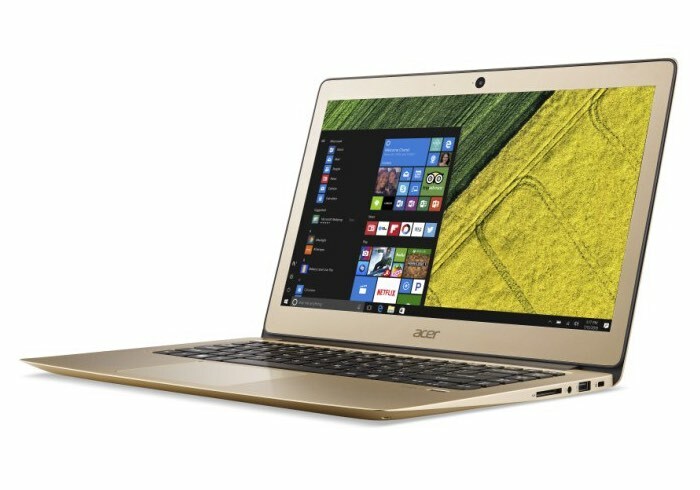 Acer has launched a couple of new laptops this week in the form of the Acer Swift 3 and Swift 7, both of which are now available to purchase directly from the US Acer online store with prices starting from $650. Both systems come pre-loaded with Microsoft’s latest Windows 10 home operating system and the Swift 3 laptop is powered by an Intel Core i5-6200U Dual-core 2.30 GHz processor supported by 8 GB of DDR4 SDRAM. Together with 256 GB solid state drive (SSD) 14 inch IPS display offering users a full HD resolution of 1920 x 1080 pixels. Graphics are provided by an Intel HD Graphics 520 chip with shared memory. The Swift 7 is powered by an Intel Core i5-7Y54 1.20 GHz processor supported by 8 GB of LPDDR3 and again equipped with a 256 GB solid state drive (SSD). Together with a smaller 13.3 inch IPS display that provides a resolution of 1920 x 1080 pixels. For full specifications and the ability to order both the Acer Swift 3 and Swift 7 jump over to the official Acer website via the link below.